When I first started watching this I thought, "Oh! I can totally tell how this is gonna play out," but I couldn't tell what the characters were going to say or do. In the first two days I had watched 30 episodes. It's great to find a non-cliche anime with great main characters, plot, and story line. I hope that they continue this show and recommend it to other people. My middle school anime club introduced me to this show. So technically, my obsession for anime started with this series. I love the characters and story, but at times, it gets boring. I like the character design. Its simplistic, yet nice to look at. The anime pulls little sneakys on you at times, which keeps me coming back for more. Just terrible and to hard to get into. One min the white haired kid is suppose to be super strong which makes sense as he has the most battle experience of any of the other characters but the very next minute he is getting his but kicked by characters with only a fraction of experience. The 4 eyes kid is just dumb as a heck at one point the bad guy was pointing a gun at them and stated he was going to eradicate the neighbor he then fires and the Osama was like oh what are you doing? I mean the guy pulled and gun and stated outright he was there to kill the kid. The concept of the show was not bad but terribly executed. Great anime I recommend it. I actually really like this anime. It has great strategic battles and a pretty decent story line. The animation might not be as good as some, but thats hardly anything to mention as I have seen on some reviews. The battles are similar to naruto where they have very technical battle strategies and its pretty fascinating to see how they over come some obstacles. i am only one episode 3 right now and i am loving it it is fun the plot is cool the world is cool and interesting hopefully this comes back cause the manga is alive again so hopefully seeing this again in the future and hoepfully people love it and i hope a lot of people start watcing this show. i love world trigger! it is the best anime i have ever watched and has the best songs! world trigger has really inspired me a lot. to me, world trigger is my world. sure there are other anime's as good or even better, but to me, this anime is my top #1! i never get tired of this anime nor the the characters! the way they were created gave me life! thank for creating this anime! it truly is the best! It might be slow at the start, and slow once in a while in some episodes 'cause some things get repeated. But overall, the action, strategy, unique ideas make this a great show to watch, especially as a long running shounen anime. Fortunately, there aren't much filler episodes. Maybe 1 or 2, but they weren't boring. 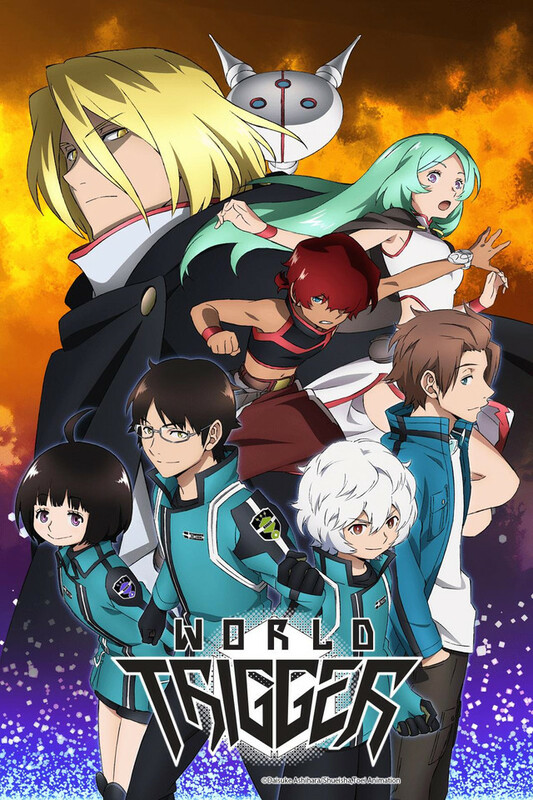 Honestly, I am writing this review hoping that I'll get to watch season 2 of World Trigger. But it looks like many gave up on the show after a few episodes. But, seriously, I am very unhappy that it seems like the show won't go on when there are still so many mysteries and cliffhangers. Me, I'm dying to watch away missions, B rank wars, the invasion, etc. It really feels like this show should not end. But thanks for the 73 episodes so far. Though the show may not be super amazing please keep it going. It's not great when an anime ends with too many unresolved plot lines. it was a great show, only real down side is that it was another potential long running show that ended before it could reach a satisfying end. The pacing was on point and story line was interesting and from my memory I can't seem to recall to much filler. Great show, until it's not. All the reviews that talk about a positive show are spot on for the first dozen or so episodes. Then it just starts to die. And you can see it coming. So you keep watching just in case it might pull through, but it doesn't. And you just give up. Nothing is as draining as seeing something slowly die. Especially an anime. This could have been great, but it wasn't.